Natalie Sappier-Samaqani Cocahq (The Water Spirit) is Ms New Brunswick this week. She is a Wolastoqiyik Indigenous multidisciplinary artist from Tobique First Nation, and while the majority of her work is done in the visual arts, Theatre New Brunswick is producing her premiere play entitled, Finding Wolastoq Voice. Natalie is simply incredible. I, admittedly (and shamefully), know very little about the culture and history of Indigenous communities in our province. I explained this to Natalie, and she couldn’t have been more understanding or compassionate. She literally told me that, “if your interest comes from a place of kindness and respect, then you can’t ask any wrong questions”. Our conversation was enlightening and ultimately I came to realize that possibly my own shame regarding not knowing much about Indigenous people led me to avoid discussing or learning more about them. And that is crazy. Don’t be like me and allow your lack of knowledge prevent you from trying to learn more (for fear of looking stupid). I assure you, the conversations are worth having. Natalie also told me “we are happy to share our stories. That’s how you also get to learn about yourself and your own culture”. Tell me about Finding Wolastoq Voice. Finding Wolastoq Voice is about a young Indigenous woman who is trying to keep hold of her traditional ancestral teachings and incorporate her way of being in a modern world. I wrote the play and composed it - Aria Evans is the dancer in the piece. It will be touring the province in the Spring. It was important to me to bring it into the communities and share the story. I am an artist, mostly known through my visual and design work. After many years, I felt my paintings were just still lives of bigger stories I wanted to say. I was yearning to be able to come together with artists of all backgrounds and create stories on stage. In 2014 I joined a collective of Aboriginal Artists from New Brunswick to help write the play The Eighth Fire with Theatre New Brunswick. That is when I caught the theatre bug and had the opportunity to meet TNB's Artistic Director, Tom Morgan Jones - he encouraged me to continue with this work and ultimately gave me a residency to explore the world of Theatre and playwrite, through his mentorship I started developing Finding Wolastoq Voice. 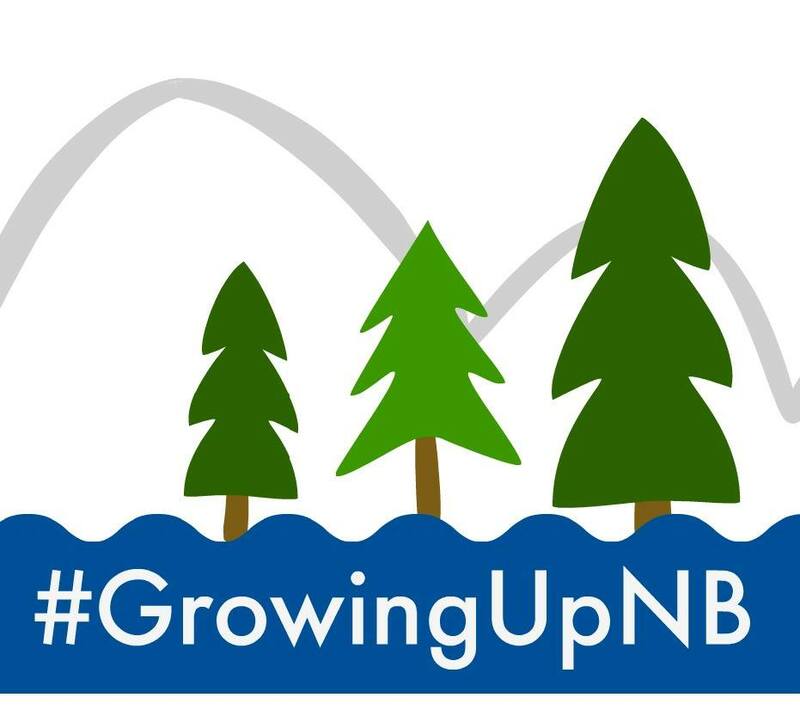 How has working with Theatre New Brunswick been? Not only am I an active artist, but I am an advocate for arts and culture here in New Brunswick. In my career, it has been quite an experience working and collaborating with non-Indigenous groups and artists. We want to build those bridges, but it hasn’t always been easy. This play gives me the opportunity to have those conversations. Theatre New Brunswick has been an amazing collaboration for me. They have been open to working with me and learning from me and my experiences. The creative space they’ve opened to me and the mentorship has been amazing. I truly feel that they want to learn about our culture, our storytelling, our language and they gave me a safe space to share that. They’re not trying to change our story or the way we do things. I am where I am at because of the support of my home community. As well as many Indigenous people in the province, they have been very supportive. Fredericton and especially the people at Theatre New Brunswick have been amazing. I feel that you get what you give too. You have to get out there and you have to offer help to receive it. You need to forge relationships with people and then the support will come when you need it. A lot of new information is coming out into the world with the lives and history of Indigenous people and I can see that it has affected a lot of the younger generations. Not only in the Indigenous communities - a lot of non-Indigenous people feel angry because they’re uneducated and they feel out of place. Art speaks many different languages. If we create spaces and opportunities for Indigenous people to come and share their stories, without altering the narrative, we can start healing in our communities. We need to humble ourselves and give people the time to speak their stories. Another great way to show support and respect for the Indigenous community, especially for Wolastoqiyik, is to call us by our chosen name. Wolastoqiyik is the name we gave ourselves; please honor that name. What is the biggest difficulty in your work? My biggest problem is I don’t see enough representation of Indigenous people’s artforms throughout the province enough. I have had a very fulfilling career, but I am not the only artist here. I would like to see more, large-scale public works. I think communities could benefit from big monumental works done by Indigenous artists in our public spaces. It’s important to teach people and remind them about the history of our lands. I’m invited to these conversations sometimes, but oftentimes too late or in the middle of the conversation. You seem committed to using your success to help other Indigenous artists. Is that a passion of yours? We’ve been raised in a community and we always think community. We think about seven generations before and seven after us. You don’t think of just yourself. In the arts world, I try to make myself the intermediary. I believe there needs to be more Indigenous voices, representation and opportunities in artist circles/environments. There is something really special about the Atlantic Indigenous culture, artforms and stories which we should all be proud of and should be supported. I hope to see more Atlantic Indigenous arts highlighted nationally. It’s quiet here, and it made me realize that more had to be done. We need more mentorship, and to create more opportunities for our voices to be heard. It’s not an easy task, but an important one. I do the best I can to help, and that’s why I like theatre. In theatre you need a family to bring a beautiful story to life. You need a team of people, so you’re always impacting the people around you and the audience. Stay true to yourself, stay true to what you want to do. We get swayed by people’s ideas for our lives. Visualize what you want in your life – very specifically – create that map and stay true to it. When it comes to money, I believe that if you are true to your path everything works out. Once I started thinking that way I felt so much happier. We have the power to create our own happiness. Fight one fear at a time. Don’t let things overwhelm you. Reach out to people who you admire and build relationships and ask them questions. If you don’t ask questions then you’re not going to know the answers you might need. Artists don’t stop. The past couple of years a lot of the work I do has a physical element so I have really been focusing on maintaining my physical health. I want to learn how to direct people in movement and on stage, so I make sure my body is up to the challenge. I take time to meditate and center myself. Sometimes when we get so involved in doing this work we forget some parts of ourselves and we get sad and tired. I had to learn to take care of those areas of my life. I live a very modest life (when you’re an artist you kind of have to). If you’re happy with what you’re doing and you’re fed well and you have support of family then you are living a full life. You can visit my website, http://thewaterspirit.wixsite.com/thewaterspirit or find me on Facebook. You can also learn more about the play Finding Wolastoq Voice from Theatre New Brunswick at http://www.tnb.nb.ca/finding-wolastoq-voice/. The show will run March 8-18 in Fredericton before touring the province with performances in Bathurst, Moncton, Saint John, Sackville, St. Andrews, Elsipogtog, Burnt Church, Tobique, and Florenceville-Bristol.